There is no right or wrong way in remembering your baby. What is fitting or comforting today, may feel unfitting or upsetting tomorrow and remembering is a very personal moment. What is perfect for someone else may not be for you and how you chose to remember doesn’t always have to be something you want to share or something family or friends may want to be involved in. Remembering your baby, is about you and your baby and something only you can decide what is right for you. Maybe in the sand at the beach, or in chalk around town, or on a piece of paper, either holding it tight or on holiday holding it for a photo – little ways to bring your baby with you, or as I say still show them the world. Empty arms or a need to hold something when you are missing your baby is a very real thing, but I also enjoy cuddling a teddy I have that was with my babies as it makes me feel as a little of them is still with me. I am a dates person. I celebrate the big and the small and who doesn’t love balloons – especially ones that are environmentally friendly. For me, I take great comfort on special days to see a balloon just for my babies flying high. I started reading my bedtime stories to my bump and now is something I still do on special dates or when I really miss them. I take a lot of comfort from their things, even things that never touched them, but were bought for them. Music is such a massive part of life and is very emotional anyway, and for so many things we all have a song or band linked to it. For me, listening to music got me through stepping back into the world after my babies had died but I also have special songs between me and my babies. With Airley, Stand By Me (Florence and The Machine version), with Freddy, Jack Savoretti, Broken Glass and Thomas, David Grey, Sail Away With Me. I always wear rings that have my babies names, engraved into them, but sometimes I want to wear something more to remember my babies and give me a little strength or show my support for others. If I am not wearing on my jacket my badges, my Sands teardrop, Baby Loss Awareness Week pin or Our Missing Peace badge are on my bag. When it comes to remembering your baby some of the best advice I have been given is that, not everything you do has to be grand or planned or perfect. It doesn’t always have to be money. At Easter, I donate an Easter egg to local collection in memory of each of my babies, or Halloween/Christmas the treat I would have got them to my local food bank. Sometimes I find it peaceful to light a candle for my babies, taking a second to stop and think of them as we met, my memories of being pregnant and a 1000 ‘what ifs’. Loren’s son, Archie, passed away to SIDS when he was 6-weeks-old. 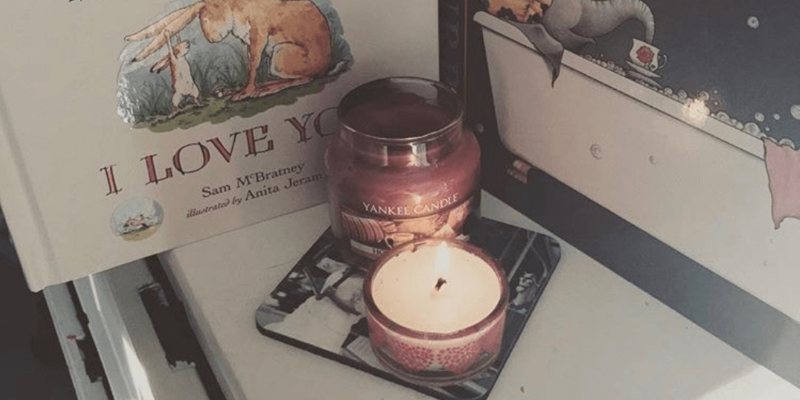 She’s written a touching blog here to help parents who have suffered the loss of their baby before or after birth to find support and strength.